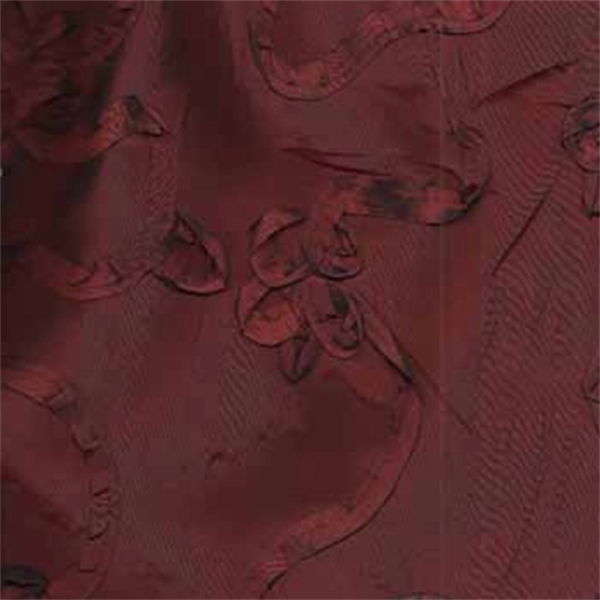 This is a beautiful dark red poly taffeta with self tap embroidery drapery fabric by Softline. 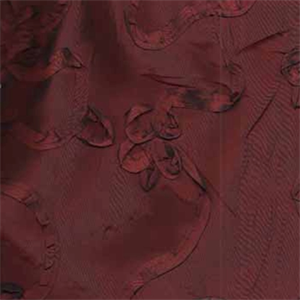 Ideal as drapery fabric, curtain fabric, or decorative pillows. Fabric suitable for many home decorating applications. Dry cleaning recommended. Compared at $458.75.